spoke here Oct. 1, 1868. Location. 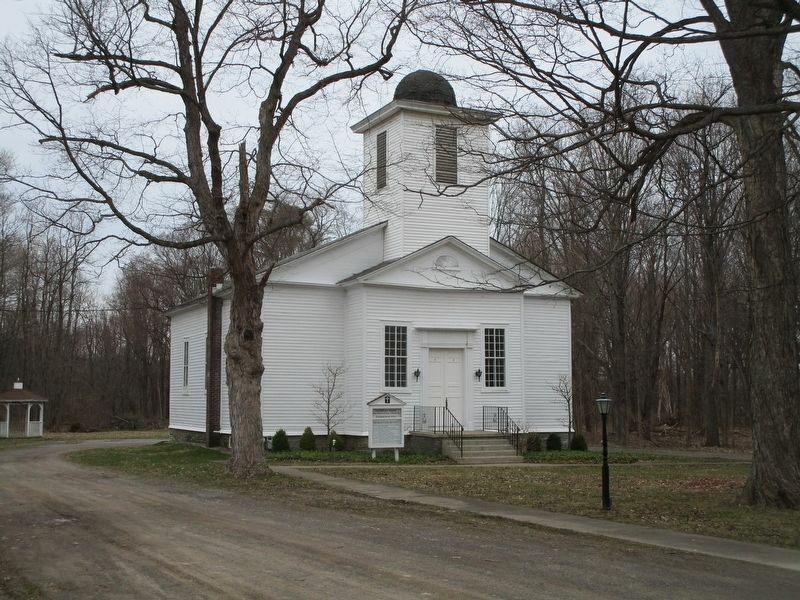 42° 43.461′ N, 78° 39.949′ W. Marker is in Aurora, New York, in Erie County. Marker is at the intersection of Mill Road and West Falls Road, on the right when traveling west on Mill Road. Touch for map. 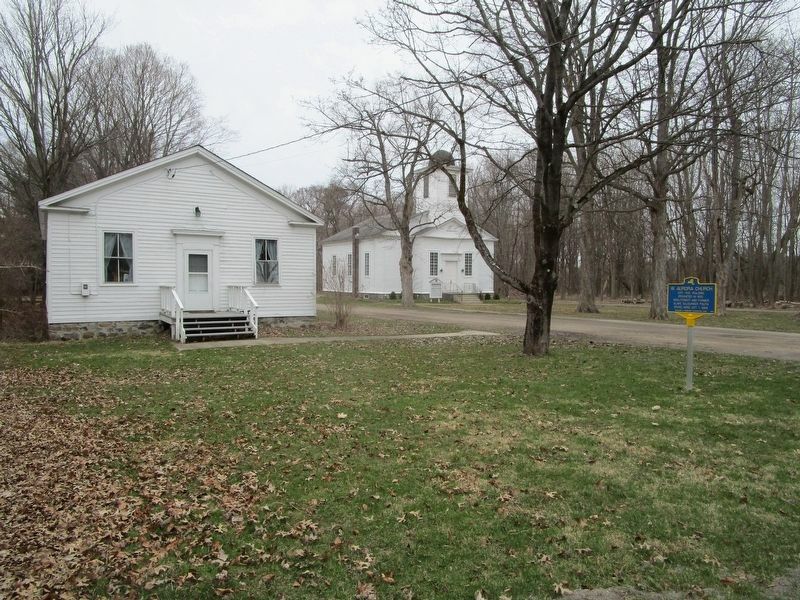 Marker is in the hamlet of West Falls. 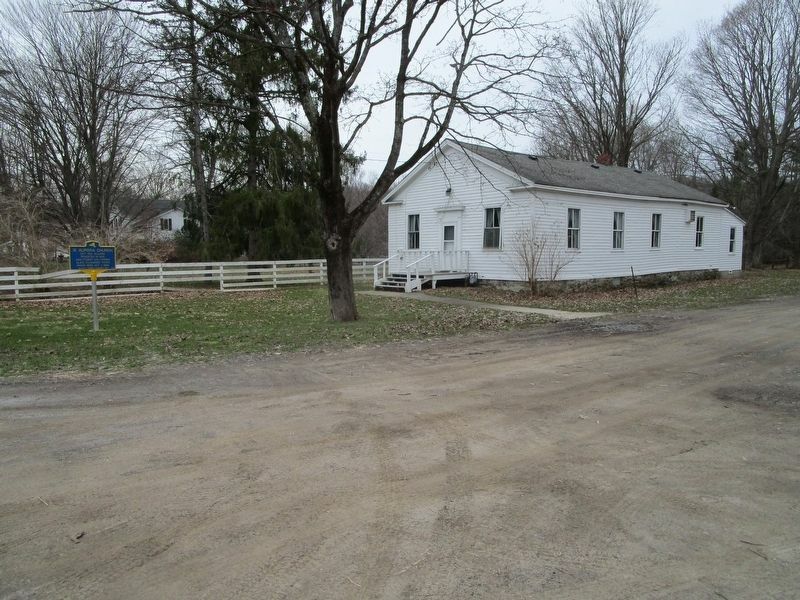 Marker is at or near this postal address: 1807 Mill Road, West Falls NY 14170, United States of America. Touch for directions. a different marker also named Dedicated to Those Who Served (approx. 3.2 miles away); a different marker also named Dedicated to Those Who Served (approx. 3.2 miles away). Touch for a list and map of all markers in Aurora. More. 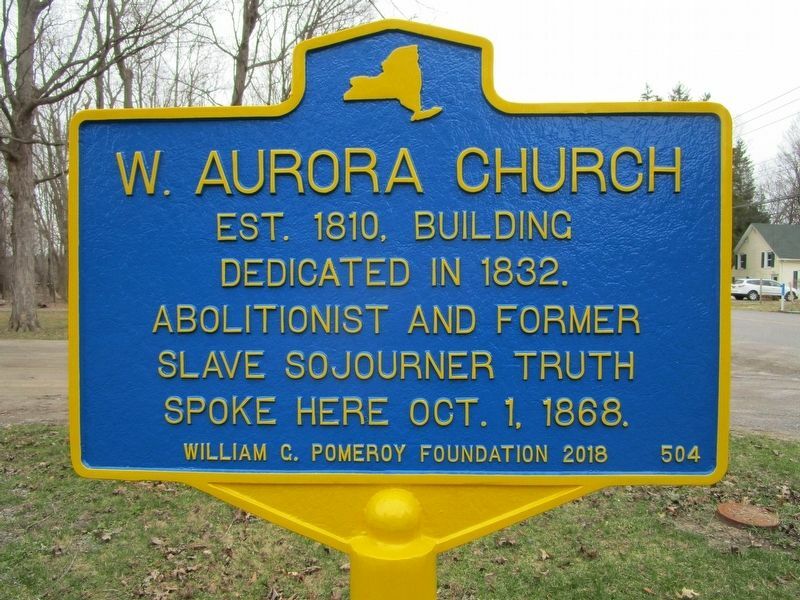 Search the internet for W. Aurora Church. Credits. This page was last revised on April 7, 2019. This page originally submitted on April 7, 2019, by Anton Schwarzmueller of Wilson, New York. This page has been viewed 50 times since then. Photos: 1, 2, 3, 4. submitted on April 7, 2019, by Anton Schwarzmueller of Wilson, New York.